This past November, an event was held in New York City called Heavenly Symphony that showcased the fusion of art and video games. It was sponsored by Attract Mode and the Babycastles Arcade and there several indie games were showcased inside of some custom made arcade cabinets. 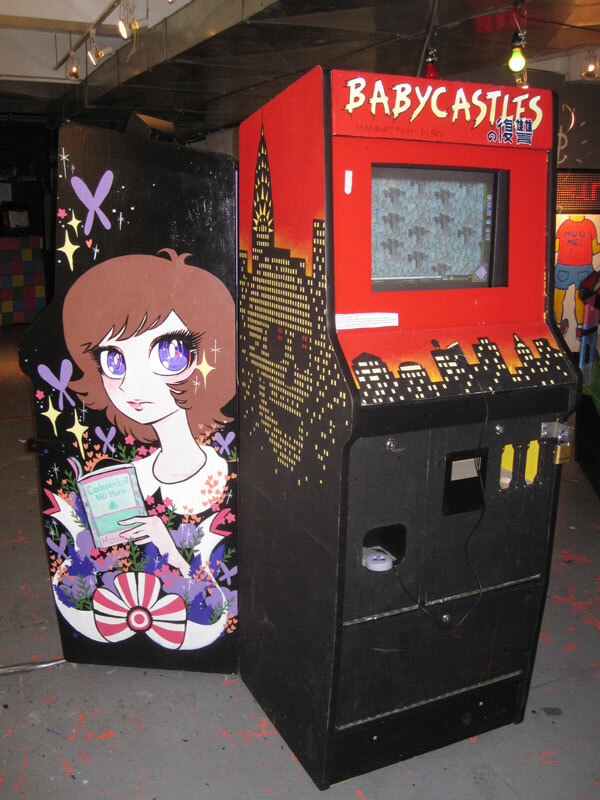 A couple of those cabinets are now for sale, Babycastles no Fukushuu: Manhattan Fury and Codependent No Moe. Both cabinets were great canvasses for the side art – it’s just too bad they don’t feature arcade quality controls. Anyways you can see the cabinets in the video below and find out more here at the Fort90 journal.